It’s August 2016, presidential and congressional elections are on the horizon and the Washington establishment is generally on vacation, but I’m not. 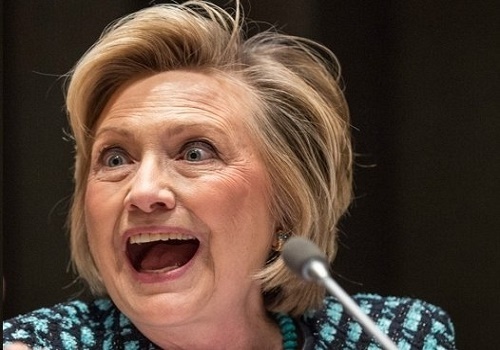 The country continues to sink into an abyss of corruption, and the “Wicked Witch of the Left,” Hillary Clinton, continues to fly around the country on her political broom, dismissing her rank criminality over her most current scandals in order to convince the uneducated masses that she should be the nation’s first female president. I am not concerned with her politics, but I am upset at the failure of our so-called justice system to hold her to account legally for her crimes. The latest collapse of justice occurred when FBI Director James Comey abdicated his responsibility and failed to recommend Hillary Clinton’s prosecution over her criminal misuse of her private email server. This resulted in classified information about the whereabouts of Ambassador to Libya Christopher Stevens and his colleagues, such as Navy SEAL Tyrone Woods and State Department official Sean Smith being compromised, most likely by Iranian and Russian cyber-hacking. The hostile powers, particularly the Iranians, then undoubtedly gave the coordinates to terrorists such as al-Qaida. The federal government appears to be unable or unwilling to stop an arguably flagrant criminal from be elected president. Proof that someday soon there will be a U.S. dictator rising to power. Indeed, after the fatal attack on the consulate in Benghazi, then-Secretary of State Hillary Clinton told her own daughter, Chelsea Clinton, a director to the racketeering enterprise known as the Clinton Foundation (see RICO complaint at FreedomWatchUSA.org), that the massacre occurred at the hands of terrorists, not a simple video mocking the degenerate Islamic prophet Muhammad. Hillary Clinton also said the same thing to the prime minister of Egypt. Later, however, Hillary Clinton lied to Pat Smith and Charles Woods, the parents of fallen heroes Sean Smith and Tyrone Woods. When Pat Smith and Charles Woods sought to correct this falsity by disclosing publicly what Clinton had told them, she branded them as liars to further her own political and presidential ambitions. Last Monday, the parents of Sean Smith and Tyrone Woods sought to do what no law enforcement official at the FBI or Obama Justice Department has had the honesty much more the guts to do: hold the “Wicked Witch of the Left” legally accountable. Filing a wrongful death and defamation lawsuit in the U.S. District Court for the District of Columbia, Pat Smith and Charles Woods dropped “Dorothy’s Kansas house” on her by taking matters into their own legal hands. The complaint, which was later served to her, can be viewed at FreedomWatchUSA.org. Given the frustration of “educated Americans” to Hillary Clinton’s unchecked criminality, the filing of this complaint caught the nation’s short attention span, even in the leftist media. The Democratic Party establishment went into full defamatory battle mode, even sending the political hack player Robert Zimmerman, a so-called Democrat strategist and board member of the Democratic National Committee, to defame me on “The Kelly File,” incredibly calling me an anti-Semite and other falsities, which included false statements about my professional legal career. While the stupidity of this attack was self-evident – I am of Jewish origin, an avowed Zionist and strong supporter of Israel – Zimmerman’s published slander underscored the desperation of the “Wicked Witch of the Left” and her enablers at the DNC and elsewhere. While this “loser” and Clinton/DNC shill Zimmerman, who frankly is a nobody, will be made to correct and be held to pay a price for these false statements, the real issue is the strength of our lawsuit against Hillary Clinton. That’s because, while some have incorrectly opined that the “Wicked Witch of the Left,” as a former secretary of state, is legally immune for her acts, this is simply not true. First, with regard to the counts of the complaint that seek to hold Hillary Clinton to account for her having called Pat Smith and Charles Woods liars, these publications were recently made while Hillary Clinton was a private citizen, not a government official. Thus, she is exposed to the legal standards for having defamed my clients while she was a private citizen, and no government immunity applies. Second, with regard to the wrongful death claims, since she committed criminal acts in misusing and sending classified information over her private email server while secretary of state – as even FBI Director Comey was forced to concede by calling her conduct “extremely careless” and thus felonious – according to “black letter” established case law, Hillary Clinton lost any government immunity from suit. 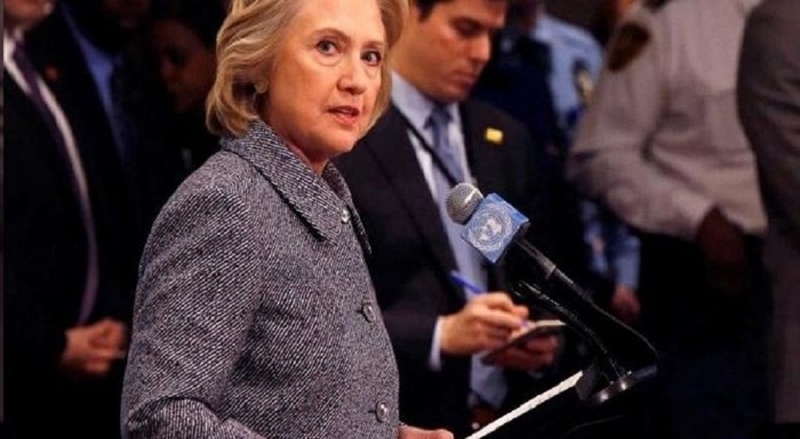 Thus, when Hillary Clinton unreasonably, illegally and even worse, criminally used her unsecure private email server to communicate with Ambassador Christopher Stevens – revealing to Iranian and Russian spy services his and his colleagues’ whereabouts in Benghazi – she broke the law and committed criminal acts. Terrorists, who were informed of their location, then murdered them and other brave American patriots. The “Wicked Witch of the Left” thus has no immunity for her violative acts. Her time to skate from and evade the reach of the law is over, plain and simple. In short, Hillary Clinton is now between the crosshairs of Freedom Watch’s clients, Pat Smith and Charles Woods, and “Lady Justice.” This case is thus designed to finally mete out the legal whooping that Hillary Clinton has deserved for the last many decades, as she and her husband “Slick Willy” conspired in more than 50 scandals that the Washington legal establishment simply then swept under the carpet in their close-knit club of deceit. 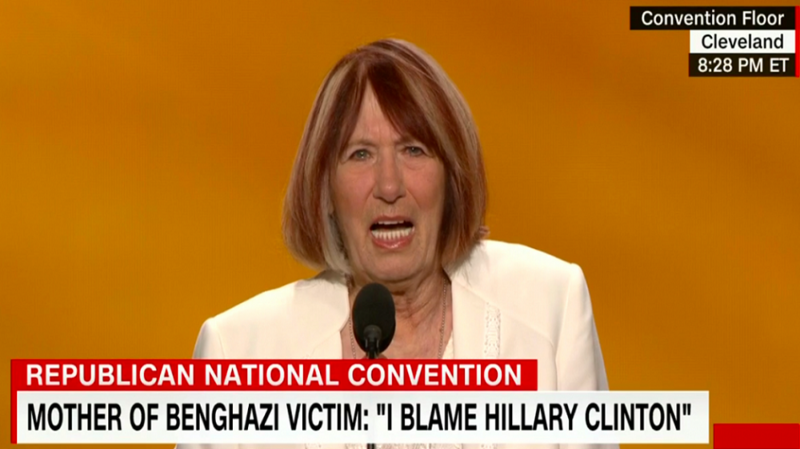 Pat Smith, the mother of slain State Department official Sean Smith, has been held up to ridicule by Hillary Clinton’s media sycophants and supporters.